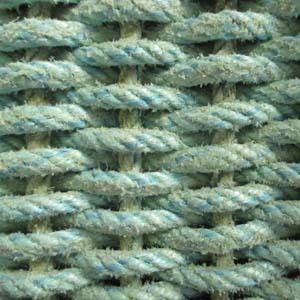 Our Pale Blue reclaimed mats are made from a rope that has a soft blue color with a slightly darker blue tracer running through it and are made from a 4-strand rope rather than the typical 3-strand. 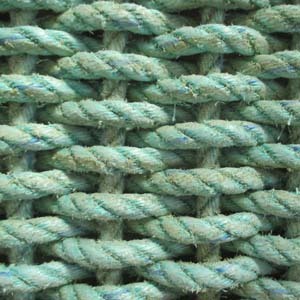 This rope tends to have a softer feel than other ropes after being used in the fishing industry. 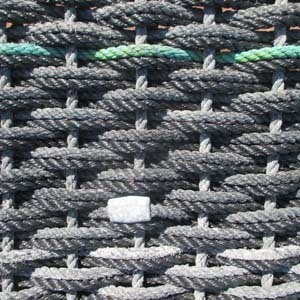 Please be aware that each mat can vary slightly due to where and how the rope was used, on a rocky or a soft seafloor bottom and duration of use before being replaced. 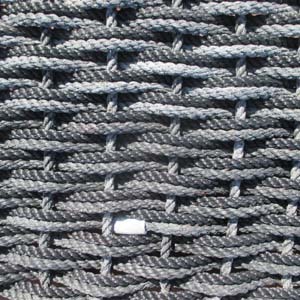 All our Pale Blue mats are made from 1/2″ rope. 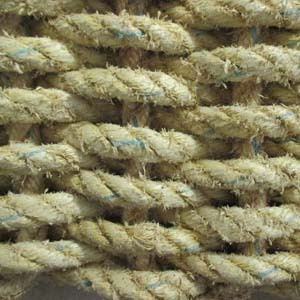 Category: Solid-Color Reclaimed Rope Doormats.